I first joined the Board of Directors of the Industry Standards and Technology Organization (ISTO) in 2010 after bringing the Liberty Technical Advisory Board (LTAB) program from another organization, and starting Interconnect Modeling Technical Advisory Board (IMTAB) as a second program on behalf of Synopsys, my previous employer. While serving on the board, I served as secretary and on the finance committee. I was also involved in auditing the operations in 2014 and 2016. With all these experiences, I am really delighted to succeed Mr. Don Wright as the Chairman of the ISTO Board of Directors. It has been a great privilege to closely observe the operations of ISTO for the past seven years and see how several new programs have entered and flourished under the ISTO Federation. As I pick up the baton, I consider myself privileged and blessed to have the able guidance of Don Wright (most recent past Chairman), Marco Migliaro (President), Gerald Lane (previous Chairman), Myron Slota, as well as Tom Wettech (Legal Counsel). All of them will be continuing on the Board to provide the much-needed continuity in overseeing the wide range of consortia and alliances activities under ISTO Federation. We also elected three new directors – Dan Burnett, Brian Daly, and Menno Treffers. The breadth and depth of their experience in forming and managing consortia in diverse industry segments will strengthen ISTO in the services it offers. I am truly excited about having this team of industry stalwarts lead ISTO in years to come. As your new chairman, and speaking for the entire board, we seek your input in keeping ISTO on the cutting edge of providing services that are most effective and productive for your consortia. Please make your suggestions through your ISTO Program Manager or feel free to reach out to me directly. The IEEE Industry Standards and Technology Organization (ISTO), an international federation of leading industry groups and consortia dedicated to the advancement of standardized technologies for the benefit of industry, recently announced its new chairman, Yatin Trivedi, and the 2017 ISTO Board of Directors. Comprised of leaders from various fields of electro and emerging technologies including mobile, wireless charging, high-performance computing (HPC) and lighting industries, the ISTO Board of Directors oversees the financial operations of the organization, as well as the development of the ISTO Business Plan and other related strategic and operational activities. Directors also serve to promote the benefits of industry and government organizations partnering with ISTO. Chairman Trivedi succeeds Forrest D. (Don) Wright, president, Standards Strategies, LLC. Don had served as chairman since 2011 and will remain a director on the ISTO Board. The latest specifications approved by the Zhaga Consortium cover linear, socketed light engines, rectangular LED modules for use with lenses, and circular LED light engines with on-board drivers. The Zhaga Consortium, a global association of lighting companies that is standardizing components of LED luminaires, has finalized three new specifications that cover different types of LED modules and LED light engines (LLEs). The specifications – designated Zhaga Book 14, Book 15 and Book 16 – define components including linear, flat, socketed LLEs; rectangular LED modules for use in combination with lens arrays; and planar, circular LLEs. The full specifications are currently available to Zhaga members only. Details of all Zhaga Books can be found on the Zhaga website. Synopsys, Inc. (Nasdaq: SNPS) today announced ratification of new statistical moment-based extensions to LVF by the Liberty™ Technical Advisory Board (LTAB), an IEEE Industry Standards and Technology Organization federation member program. The new extensions provide a more precise static timing model based on non-Gaussian variation observed in designs operating at near sub-threshold voltage conditions. Applications include mobile and IoT IC designs, where low energy consumption is a dominant requirement. Synopsys' Galaxy™ design platform support for these new extensions is available today with PrimeTime® signoff static timing analysis (STA), SiliconSmart® library characterization and Library Compiler™ library checking solutions. Synopsys IC Compiler™ II physical implementation tool will also provide support in its upcoming release. 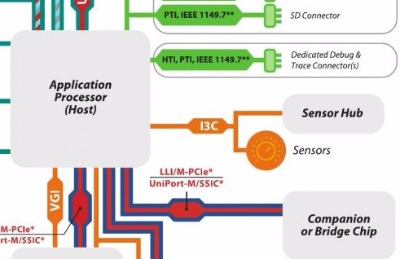 The MIPI®Alliance, an international organization that develops interface specifications for mobile and mobile-influenced industries, recently released MIPI I3CSM, Improved Inter-Integrated Circuit, a sensor interface specification that streamlines sensor integration in smartphones, wearables, Internet of Things (IoT) devices and automotive systems. The TALQ Consortium, developers of the global standard interface for smart outdoor lighting networks, have just released the formal beta version of the entire TALQ Test Suite for its members. With this test tool companies can now start testing their smart lighting solutions for multi-vendor interoperability. The Test Suite will allow first products to be TALQ certified later this year – ensuring interoperability without the expense and delay of plugfests. Furthermore the tool enables the Consortium to work on extending the TALQ Standard to other smart city applications. investment decisions. That is why, in 2012, the TALQ Consortium was founded to develop a global interface standard to connect and manage heterogeneous street lighting networks from many different hardware and software vendors. The TALQ Specification focuses on the so-called ‘application layer’ of the interface protocol, allowing maximum freedom for outdoor lighting manufacturers to develop optimized solutions within an interoperable framework. The TALQ Interface is built on standard internet protocols and security standards, such as XML/HTTP and Transport Layer Security, and is independent of connectivity technology. 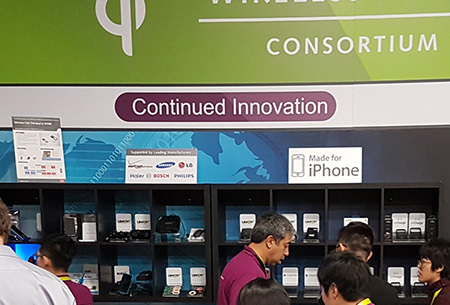 “What’s new?” That’s what people usually asked when they visited the WPC booth at CES 2017 in Las Vegas a couple weeks back. Before I share how I responded to that question, let me share an observation about the show’s visitors. The atmosphere was quite different this year. We didn’t have to explain what wireless charging or Qi is about. Admittedly, some struggle with the pronunciation of “Qi” but that will come with time. Almost every visitor already knew enough to get straight to the point. A surprising number of visitors wanted to talk about their own product plans. They wanted to know more about integrating Qi chargers in larger products such as alarm clocks and furniture. They wanted to know about sourcing modules, and about the procedure for Qi certification. These are questions you typically hear in a mature market. 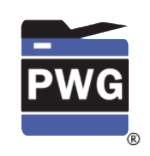 PWG Candidate Standard 5100.1-2017: IPP Finishings v2.1 (FIN) has been approved. This specification defines new “finishings” and “finishings-col” Job Template attribute values to specify additional finishing intent, including the placement of finishings with respect to the corners and edges of portrait and landscape documents, expanding on the definitions from Finishings 2.0 (5100.1-2015). On 23 February 2017, ISTO held its annual member meeting at the Hutchinson Island Marriott Beach Resort and Marina, Stuart, FL. Delegates from each ISTO federation member alliance came together to share strategies, demonstrate accomplishments, identify possible synergies and build relationships. Member Program presentations were offered a valuable opportunity for participants to learn from their fellow industry leaders' experiences.